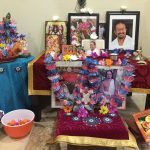 By the immense grace and compassion of Guruji and Thakurji, Orlando GOD celebrated Janmashtami in a grand manner! 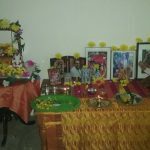 The celebrations were conducted at the residence of Nagarajan ji and Ranjini ji on July 12th evening. 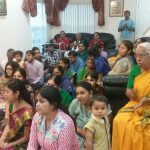 About 50+ devotees participated the event and few for the first time! 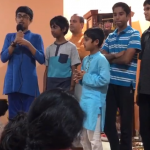 The event started with Mahamantra singing in various tunes accompanied by multiple mridangam artists; then followed by Madhurageetams celebrating Lord Sri Krishna. 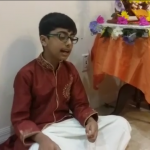 Badri, 10 year old, narrated a beautiful Hari Katha on the story of Sudama and his friendship with Lord Krishna. 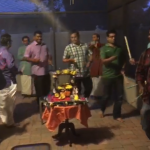 Then followed Divya Namam with dandiya, where adults and kids filled the air with Namavali and chanting of His names. 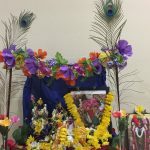 Kids were dressed as little Krishna, gopas and gopis and was a delight to watch. 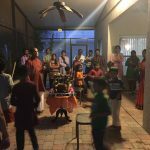 Later in the evening, kids participated in Pinyata and cake cutting! 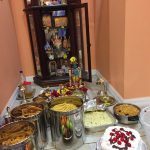 Few pictures of the event are attached. 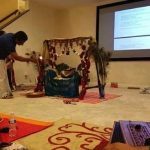 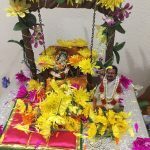 We prostrate unto Guru Maharaj and the Yugala Murthy to bless us with more Utsavs, more kainkarya and bhakti to spread the divine Name in more houses in Florida.